In the late '80s and early '90s there was a movement back to mono pictures rather than colour by photography enthusiasts and I wholeheartedly embraced the concept. 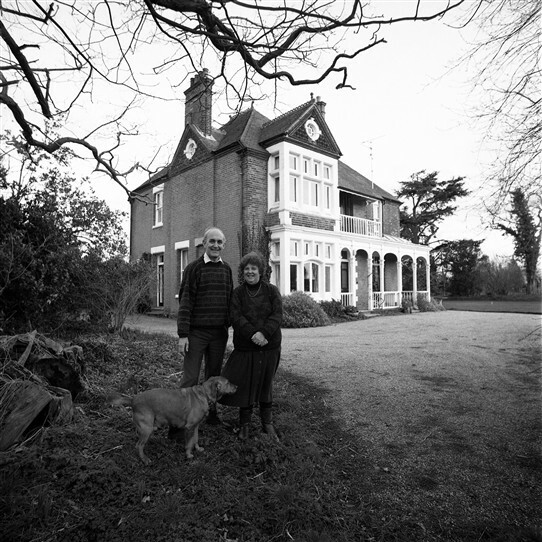 These pictures were taken on a dull day in February 1994, but I never got back to thank the couple for their kindness of letting me photograph them in their environment. They were local historians who had published on local subjects and I also remember they were about to re-locate, which I believe might have been to the Maldon area. Please will somebody help my forgetful brain and add names? And maybe a story? I do remember the pictures were taken in the Paglesham area. This page was added by Robert Hallmann on 24/03/2016. We used to live at a farm in Paglesham (not East end) but I don't know the name of it. Do you? I was about 10, 11, 12 I think making it about 1956, 7, 8. We caught the school bus from the main road via a footpath across the fields. I loved the sea wall and the skylarks. In answer to the original question Mark and Rosemary moved to St. Osyth, Essex. In the late 1960’s early 1970’s Rosemary ran a pre-school play group at their home Redcroft. From what I was told this was primarily set up so that her own children had others to play with. Several children, myself included, attended from Canewdon, transportation was via Mr. Catlin’s (??) taxi. I have fond memories of playing in the house with other children and sitting on an old cart they had outside. They even put on Christmas nativity plays for parents to attend. Back then before Dutch elm disease the route between Canewdon and Pagesham had a lot more roadside trees and I can recall us all starting to sing ‘I can see the church’ over and over again on the way home when Canewdon church came into view. I think there was a minor incident one morning at the Creeksea Ferry Road/Paglesham road junction that was a lot tighter turn back then and for years after I would call it Mr. Catlin’s Corner. Hi, I think I can, at least in part, answer my own question. 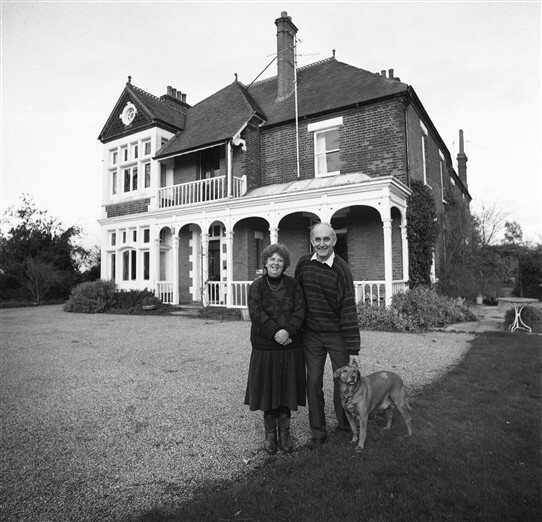 The pictures were taken At 'Redcroft', Paglesham East End, with Mark and Rosemary Roberts.